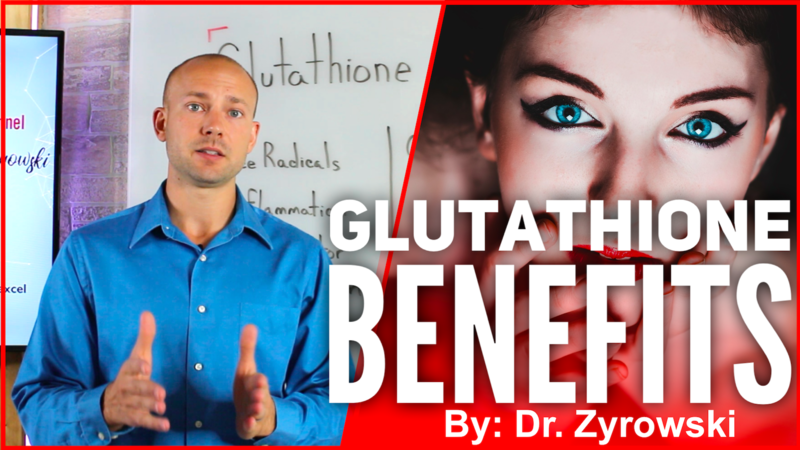 Glutathione Benefits is potentially the most important video I’ve ever done as I explain the importance of this master antioxidant within the body. Glutathione is incredibly important to your overall health. If there is no glutathione inside the cell (intracellular glutathione) then the cell will die. Almost all people who are very sick with a serious condition suffer from a lack of glutathione in the body. Glutathione benefits include cellular detoxification, reducing free radical damage, reducing inflammation, chelation of toxins, and balancing the immune system. Any successful detoxification program must start at the cellular level. Glutathione has the ability to bind to heavy metals and other toxins to protect the body from further exposure. When intracellular glutathione is raised, it detoxes the cell and then decreases damage that is being done to both the mitochondria and even the DNA. Glutathione benefits are diminished when chronic stressors deplete us of this very important antioxidant. Stressors include poor diet, emotional stress, smoking, overtraining, chemical exposure, diets lacking in sulfur, and autoimmune disease. If you want to experience the benefits of glutathione then you have to raise both the reduced glutathione and the oxidative glutathione in the body. The reduced form of glutathione is the form that is ready and willing to fight and keep us healthy. The oxidative form is the form that already has protected us. Our goal in raising glutathione is to recycle the oxidative form and boost the reduced form. Together we raise glutathione and have a recipe for success. The product I use to boost glutathione intracellular is GCEL. In this video you will discover the powerful benefits of an antioxidant called Glutathione. Hi I am Dr. Zyrowski with NuvisionExcel.com. If you are new to the channel as always it is such a pleasure you have you here. Be sure to subscribe, hit that little bell notification and I am going to help you excel your health and your life. In this video we are talking about Glutathione benefits. Glutathione is a powerful antioxidant. It is the master antioxidant in the body. Which is absolutely to the defensive system and to your overall health. So, you can imagine what would happen if someone is depleted in Glutathione. 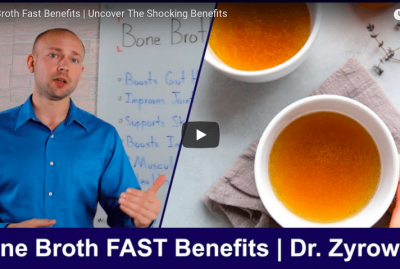 So, what were going to talk about in this video is the benefits of glutathione, what depletes our levels and how to restore levels of glutathione which is extraordinary important. So, lets dive in to the benefits of glutathione and one of the things it is going to do is, it is going to decrease free radicals. Now you may know this already if you have seen some of my other videos but free radicals are involved in the degenerative and break down of the body. So, if we want to age better, stay healthy, and we don’t want to suffer from chronic disease issues, we want to decrease free radicals and glutathione is going to help us do that. Glutathione is going to decrease inflammation. I am talking about decreasing inflammation at a cellular level. So, there is over 40 trillion cells in the body, we want to actually focus reducing inflammation in every one of those. As you know inflammation is the root cause of disease. Whether it is heart disease or cancer it all starts with inflammation. So, glutathione is going to support that. It is also a safe chelator. It is actually about to bind up heavy metals that people suffer from and it will help pull them from the body. That is really great as well. It is also a detoxifier, as well as being a chelator pulling those heavy metals, it is also able to pull those toxins from the body. As you come in contact with environmental toxins on a daily basis it will help get those out of your system to help you stay healthy, reduce free radicals and inflammation as well. It is also going to support immune balance. If you are suffering from a immune condition whether it is a thyroid condition, gut condition, or allergies, any of these different immune conditions glutathione is going to support the balancing of the immune system. Once again that is another major benefit of it as well. Now, let’s go ahead and look at some of the things that deplete us of glutathione. One of those is chronic stress. 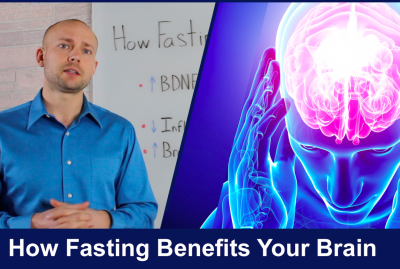 Now you are probably thinking of chronic stress as emotional stress which is a stressor on the body that is going to deplete us of glutathione but remember stress can come in many different forms in the body. Let’s talk about some of them. The first one is poor diet. If you are someone who is eating a very poor-quality diet, high in processed foods, a diet that has chemicals in the food. Then what happens is you are activating your bodies defense system every time you eat and you are depleting glutathione levels. Remember glutathione is vital to the defense system. So, anytime you activate your defense system you are using your glutathione. Smoking is quite an obvious one but, yes, that is going to deplete us. Autoimmune conditions … when you see someone suffering autoimmune conditions things like arthritis, gut conditions, essentially what happens is they are going to rip right on through their glutathione stores and they are going to deplete them. When I see someone who has autoimmune conditions and we do testing to look at their nutrient levels, essentially what we find is that glutathione is just absolutely depleted and so, then of course, we go through the process of trying to get it back up. Decrease sulfur intake. When we are looking at sulfur intake we’re looking at people who don’t have enough leafy greens in their diet and not consuming enough vegetables. We want to make sure that when it comes to increasing our sulfur intake that we consume more leafy greens and vegetables. Next one is environmental toxins. I did a whole video on that and I will put it in the description below. When we look at environmental toxins, whether your drinking out of plastics or using beauty products that are absolutely loaded with toxins, then every time you do this it is activating your defense system to keep you alive. Glutathione we know is a huge part of it and you are depleting yourself of glutathione. So, environmental toxins are absolutely crucial to avoid if you want to keep your glutathione stores at a good level. Then also chronic exercise. Okay, so people who are exercising an enormous amount, far beyond your bodies capacity, you are going to deplete glutathione levels. 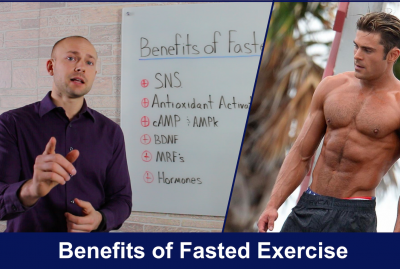 Many times, when people are sick and they have a hard time burning fat off their body, they have a hard time losing weight and weight loss resistance, so on and so forth. One of the things they typically do is they will go to the gym and work their heart out in the gym but essentially what they see is they get sicker. So, the harder they work in the gym the more fatigue they have, less energy, the more inflammation, the sicker they become. So, chronic exercise when you are ill, as well, is going to be very bad for you. Now, let’s talk about how we go in and get sufficient levels of glutathione levels in the body. When we look to boost glutathione levels in the body the first order of business, is make all of this stop. If you are someone living a life full of environmental toxins you have to clean that up. If you are someone eating a poor diet you have to clean that up. If you are someone who is suffering from sort of condition raising glutathione levels is going to support it but what is very important is that we actually start making steps towards fixing that condition and not just covering it up. So, here is the thing. We need to stop this but let’s talk about how we can nutritionally boost the levels in our body. There are two forms of glutathione levels in the body reduced form and oxidized form. The reduced form is the one who is ready to protect us. The oxidized form is essentially that arm guard that already did protect us. They can’t do it again, they already did. So, when we look at nutritionally raising glutathione in the body we want to raise the reduced form because that is going to be what protects us at a cellular level. That is what is going to protect us and decrease inflammation and free radicals and it is very important to make sure were actually increasing glutathione at a cellular level as well. So, we need to increase glutathione intercellularly and so when we raise it we want to focus on the reduced form. We can take S-Acetyl Glutathione, for instance, and that is going to help raise the reduced form but glutathione is very expensive for the body to make. So, we want to take this oxidized form and bring it back to the reduced form and you can consume nutrients such as milk thistle, selenium and alpha lipoic acid that are really going to support this process of taking the oxidized form and turning it back into the reduced form. So, it is ready to protect us once again. What I’ll do is link below the nutritional supplement that we use to support not only the reduced form but to support the oxidized form to bring it back and it is ready to protect us again. After were able to raise glutathione intercellularly were able to take autoimmune conditions and support them and even reverse them. We’re able to decrease free radicals, decrease the inflammation, detoxify the body, balance the immune system, and so much more. So, when we look at really what is so vital to overall health, and possibly one of the most important videos I have done yet, is making sure that we raise these glutathione levels up. So this way we can support the bodies defense system at a cellular level and this will essentially offer us true health. Go ahead and give this video a thumbs up, share it with your friends so they can see this as it is very important. Subscribe to my channel, I would greatly appreciate that.